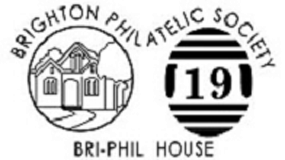 New Membership – Pay by Cheque/Money Order – Brighton Philatelic Society Inc. Prepare your cheque/money order for the amount owing. Send your completed form together with your cheque/money order to us. Step 4: Please Your Cheque/Money Order for the Amount Owing. Please prepare your cheque/money order for the amount noted in Step 3. Step 5: Please Send Your Completed Application Form with Cheque/Money Order to Us.